Chronic lower back pain doesn’t just affect the sufferer- when it goes on too long, it can affect the whole family. 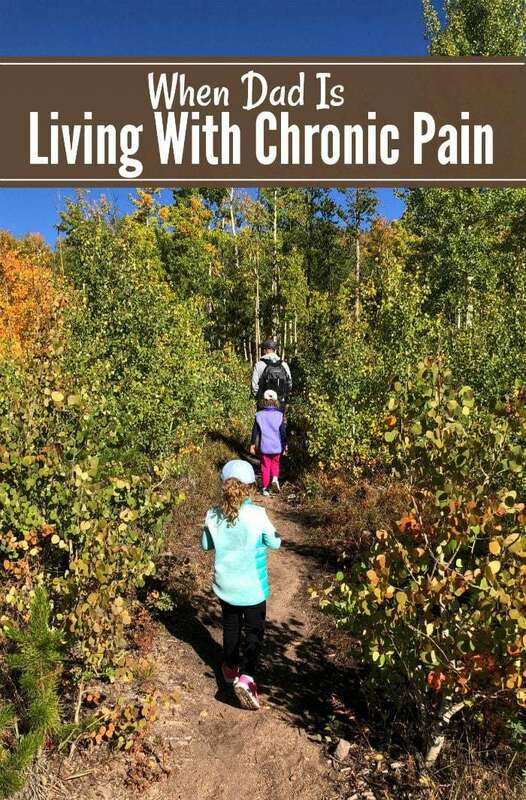 Here’s how chronic pain is affecting our family, and what we are going to try to make it better. Over the past 2-3 years, my husband has started to suffer from chronic lower back pain. It was about three years ago that he was given a new desk, chair and monitors at work- all of them had ergonomics that just don’t agree with his body. He used to have his computer and monitor right in front of him, but since he does a lot of customer service, his company wanted him to move the computer and monitor over to the right. He can swivel his chair to see the monitor, but his hands are pretty far away from the keyboard and mouse, making him uncomfortable for long stretches of time at work. Over the years the chronic lower back pain has taken many forms- he’s had trouble falling asleep due to pain, he’s had trouble staying asleep due to pain, and trouble getting out of bed due to pain. We’ve changed mattresses, gone to the doctor, and petitioned work to allow him a different working situation. Nothing has worked. I will say that my husband Ricardo does not want to take medicine. The first time he went to the doctor they prescribed him heavy narcotics- and he didn’t even fill the prescription. He also isn’t a huge fan of over the counter pain relievers- he fundamentally believes that medicine is not a healthy thing to be taking on a regular basis, and so he rarely, if ever, swallows a pain pill. I completely respect his decision but…. … As most people with chronic pain, it affects his mood. The pain affects his mood in several ways- some days he comes home from work in a sour mood after having to sit uncomfortably all day. When the pain is especially bad and he has trouble sleeping he becomes short with me or the girls, and that affects our family and our relationship. 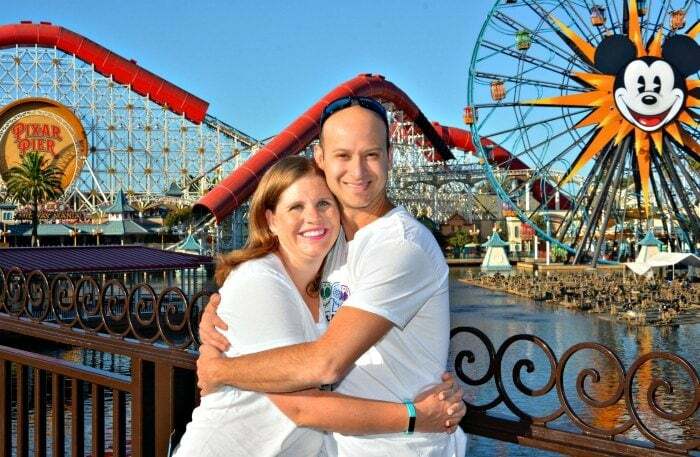 Ricardo isn’t able to enjoy fully all of the things that he loves to do- whether that means a pick up game of soccer (back pain the next day), traveling (back pain after the car or plane trip) or just spending time at home with us and our daughters. In the worst of times, he is crabby and doesn’t feel like doing the things he most enjoys- and that’s the hardest part of all for our family. My husband’s chronic lower back pain has been going on for years and I want to relief for my husband- and for our family! When my husband isn’t 100%, then he isn’t able to enjoy his free time or his family time to the fullest- and that’s not fair. My husband is not alone in how he deals with chronic pain, and how it affects him and our family. The National Institutes of Health (NIH) estimates that more than 126 million Americans suffer from pain with over 25 million suffering from chronic pain, and that nearly 78 percent of Americans are interested in finding alternative ways to manage their pain without the use of prescription medications. This is why we have decided to partner with Omron Healthcare to do a 30 day trial of their Omron Avail Wireless TENS Device. The TENS device has three key attributes which result in chronic pain relief when used over time. It blocks the pain message signals to the brain, it stimulates the release of endorphins – our bodies’ natural painkillers, and, it improves blood circulation. Over the next 30 days we will be testing the device and sharing how it works with you in a series of three blog posts. We will share with you how the device is working for us to relieve pain, and what other lifestyle changes we make as a result of less chronic pain. We are really optimistic that the Omron TENS device will help my husband get back to leading a more normal life free from pain- and thus help him to enjoy the things the loves to do!